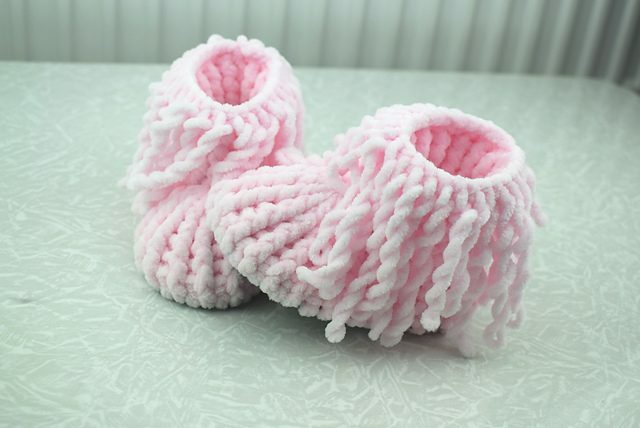 Fantastic shoes for the youngest children made of velvet yarn. These shoes are charming and ideal as a gift for any occasion. I highly recommend this project. In the tutorial you will find the attached video. This is a great convenience for everyone. You can make the shoes in any colour you like. The added fringes are for a beautiful effect. This is a free pattern. you will find it in the link below.